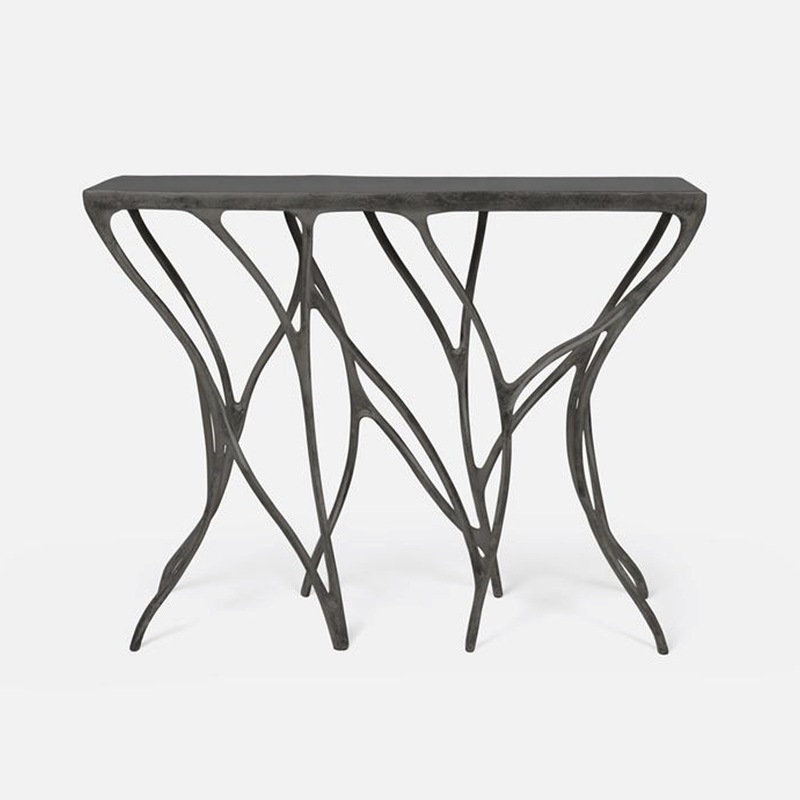 With wavy legs that both hypnotize and delight, this assymmetrical branch console is organic yet modern in form and style. 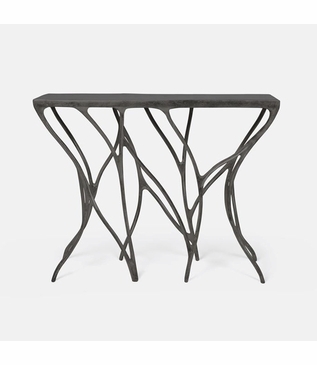 Crafted of resin, the entire piece is finished in an aged bronze. Also available in a longer 60" length version. Size: H: 31" • W: 48" • D: 12"